Pirangut is located in the Paschim (West) Maharashtra region, just 21 km from Pune city, is the best place to unwind in the lush green environ. It’s surrounded by natural scenic view – beautiful hills, trees, and herbaceous plants that’ll relax your mind. You’ll experience pollution free, fresh air that’ll help enhance your health. Pirangut is becoming the most preferred location for first time home buyers, and also for those who are looking to buy weekend luxury villas. Buying residential plots in Pirangut can be highly rewarding, as it’s one of the rapidly growing areas in Pune. IT professionals are investing in residential NA plots, premium villas due to proximity to Hinjewadi IT Park. Living here amid nature will de-stress your life and you’ll have a good work-life balance. The fresh air will detoxify your body and mind and will re-energize you to outperform in your professional work. Pirangut is the place where you’ll rejuvenate your soul. The place where every day is a holiday! Investing in Residential or Villa plots at Pirangut can give you High Returns. The Maharashtra Government proposed to develop Pirangut with a number of infrastructural projects. Pune Metropolitan Region Development Authority proposed to develop a metro route between Hinjewadi and Shivaji Nagar. 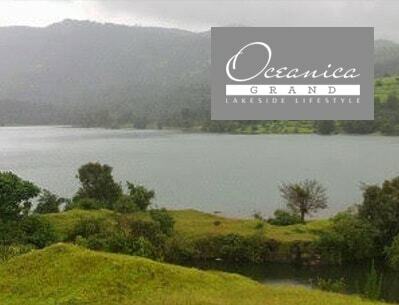 A super premium lake view project with residential plots to live a lakeside lifestyle and de-stress your life at nature’s green near Ambegaon – Pirangut.